It's simple to assign or remove tags from multiple accounts using the bulk selector box. 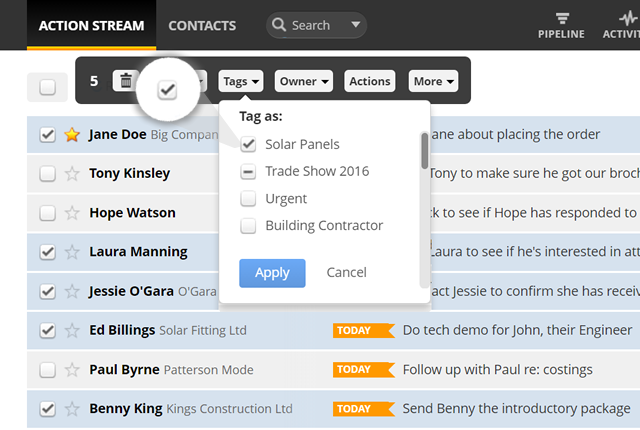 Select all contacts by checking the bulk selector box or select individual contacts by checking a box beside a contact. In the Tag as box, select the tags you wish to associate with the contacts or deselect any tags you wish. If you see this icon"-" beside a tag it means at least one of the selected contacts contains this tag.